Letters offering places will be posted second class on 16 April 2018. Those who applied online will receive an email and be able to view the result of their application online. 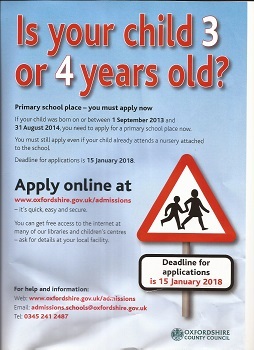 Full details of the admissions process are published on the County Council website.